publish the useful results thereof) into his life and works’. 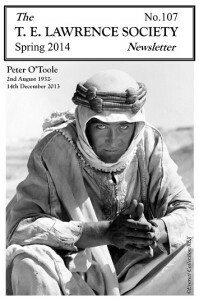 Each year we produce three Newsletters and two 80-page Journals which over the past 30 years have grown to become an important resource for anyone interested in this extraordinary and complex man. The Newsletter is usually published each March, June and October. As well as reporting on current events and Society activities, it provides a platform for members to share their interests and perspectives on Lawrence. 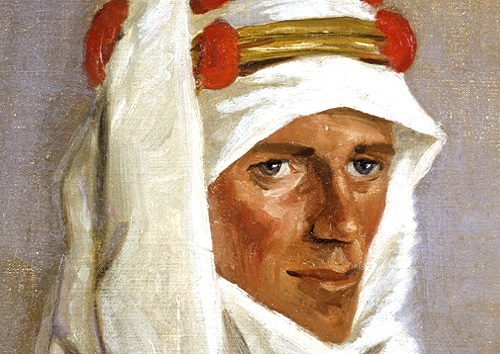 Contributions – long and short, academic and informal – take the form of personal research, memoirs, accounts of travels in Lawrence’s footsteps and photographs with a Lawrence connection. Members can choose to receive printed copies of the Newsletter or a pdf version. be downloaded from the Members’ Area of the website and provide fascinating reading. It is hoped in time that we can complete digitising this collection for members to enjoy. 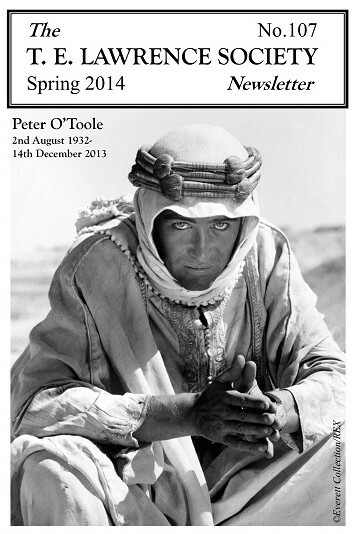 A sample copy of the Newsletter can be downloaded by clicking HERE. The Journal was set up in 1991 as a serious research publication. Each issue runs to around 80 pages. All contributions are reviewed by an editorial committee. 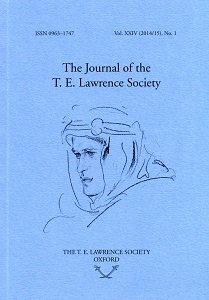 Editorial policy is to publish articles relating to all aspects of Lawrence’s life, including some based on papers presented at the Society’s meetings, as well as material from obscure published or unpublished sources. In view of the aims of the Society set out in its Constitution, the Journal does not include highly speculative biographical articles. Summaries of articles published in previous Journals can be viewed on the appended pages. Or click HERE to download more detailed descriptions of the articles and writers in pdf format. Additionally, the contents of Journals Vol. I, No. 1 to Vol. XXIV, No. 2. arranged by subject matter can be downloaded in the form of a ROUGH GUIDE compiled by former Society chairman Nick Lynch. issues available for purchase by members and non-members. We welcome contributions to the Newsletter and Journal. Please get in touch if you would like to submit an idea for consideration.